Searching in Windows has improved dramatically since Windows XP. Windows Vista first saw the search bar integrated into the start menu, and while it worked, it didn’t work half as well as the search bar in Windows 7 works. 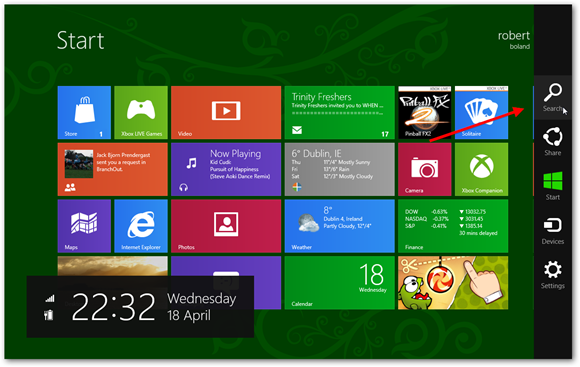 However, there is always room for improvement and Microsoft have done just that in Windows 8. 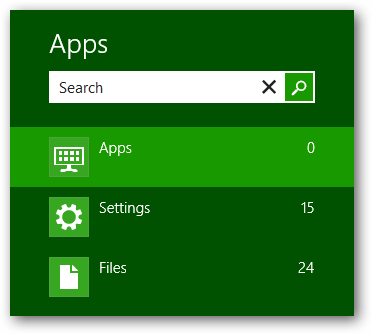 The new Smart Search feature allows you to not only search for files and programs on your PC, but now it also allows you to search within apps too. It’s remarkable easy to begin searching on Windows 8. You’ve two different options. 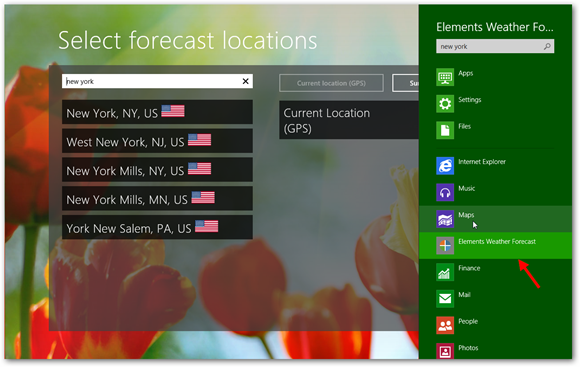 Alternatively, if you’re at the start menu, just start typing for whatever it is you want to search for and you will automatically enter Smart Search. 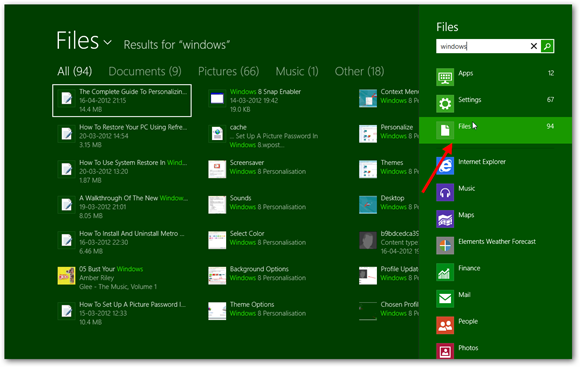 By default, the search will display any apps that match the query you typed into the search bar. As you can see in my example below, I typed in “Windows” and it gave me a list of 12 relevant programs on the left-hand side. If what I’m looking for is there, all I have to do is click on the apps icon and I’ll be brought straight into it. If you’re not looking for a particular app, you might be looking for a certain setting. The smart search automatically looks at various different settings on your PC and will produce a list of relevant ones based on what you typed in. Again in my example I searched for “Windows” and this time I clicked on Settings in the search menu and I was given 67 different settings. Now Windows 7 has always looked at apps,settings, and files when you are performing searches, so this isn’t really that big a deal in Windows 8. 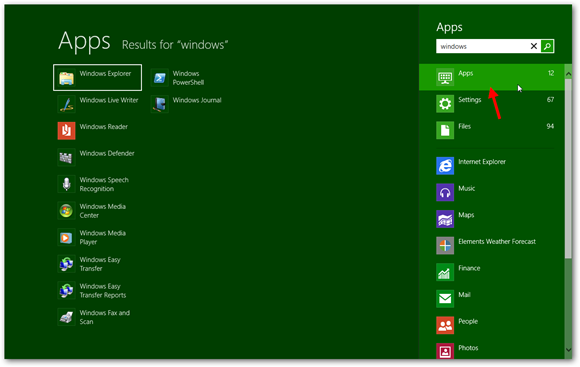 It’s nothing new, but what is new to Windows 8 is the fact that you can also search within different applications that you have installed on Windows 8. For example, suppose I’m searching for “Windows” but I’m not actually looking for a setting, app or file to do with it. Maybe I want to look it up on the internet? 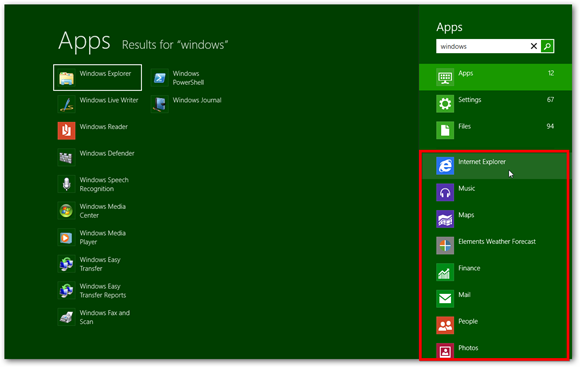 Well below Apps, Settings and Files in the search menu, you will find a list of Apps installed on your PC that you can also search within. 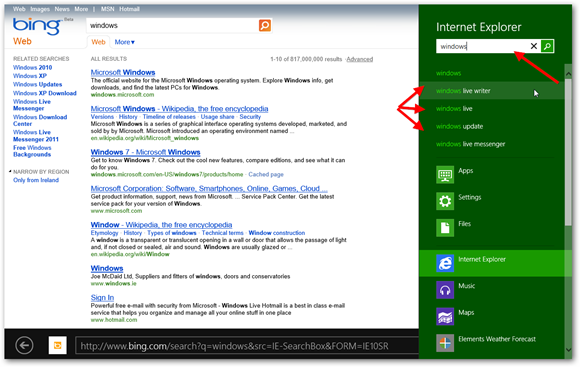 Say I’m looking to search for “Windows” online, I click on the Internet Explorer app from the menu and Windows 8 will automatically search for “Windows” online and show me results. Or say I’m looking for a song, so I type in the name of the song and then select the Music app, now I’m presented with a list of matching songs that I can start playing right away. It’s the same with all the different apps. 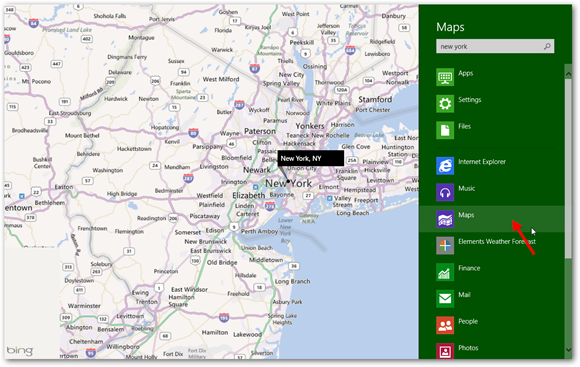 In the next example, I want to find a map of New York. So I type “New York” into the search bar and click on Maps. The maps app launches and immediately searches for a map of New York. Again, this time I want to find out what the weather is like in New York, so I select my Weather App. Straight away I’m given the weather for New York. I’m sure you’ve got the idea now. The reason this “Smart Search” is so smart is because it allows you to search directly within all the apps installed on your PC that support search. One more feature that Smart Search has is the ability to display “Search Suggestions”. If you’ve performed your search but think it needs to be more specific since you didn’t find what you were looking for, you can click back on the search bar and a list of further search suggestions will appear. To start your search again with one of these terms simply select one. 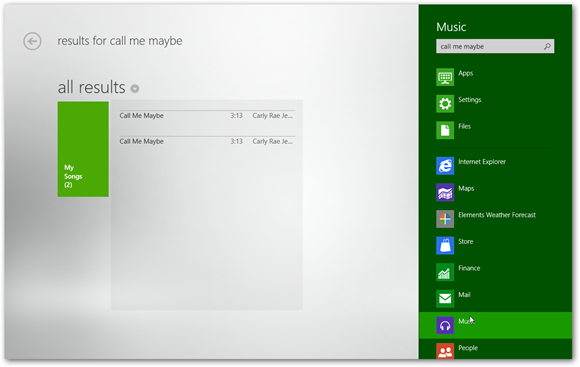 The new Smart Search feature in Windows 8 is certainly a very valuable tool. It’s simple to use and is very quick and effective. 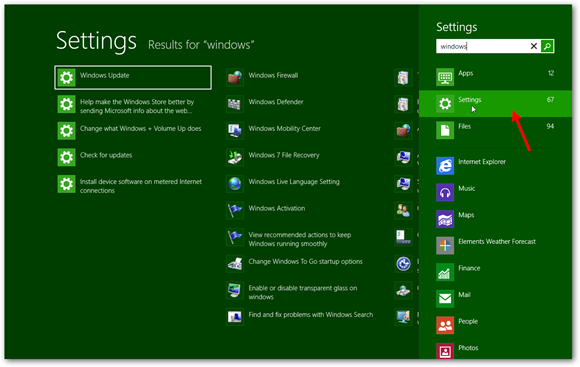 No other Windows OS allows you to search for so much so quickly, it’s certainly one of the best features in Windows 8.